Per the requests of the vendors, more emphasis is placed on conformation. Therefore, the “physical score” counts 10 of the total of 20. Mare and stallion count for 5 points each. A score of 5 is only given to the very best proven producers. A score of 2.5 represents the average. For stallions, a score of 1 represents a total failure. For mares, a bad producer/race filly with a poor pedigree would likewise, score 1. 1. Her record at stud. A score of 5 is reserved for the best-proven broodmares. I.e. mares that have bred at least one champion or which have bred more than one graded stakes winner. •	Top race fillies, not yet proven at stud. •	Mares, which have bred stakes performers. Sisters to top horses, which have yet to achieve in their own right, would score between 2,5 (average) and 3,5, dependant upon the quality of her family. In all cases, mares from poor families would be downgraded, whilst mares from the top families would be up-graded – (the overall “appeal” of the pedigree counts as well as the mare’s own achievement. It’s a fact that a stakes performer from a very weak family has less appeal in the sales ring than an unraced own sister to champions, from a great family). The progeny of old mares-, who may be proven top producers, don’t sell. We have to therefore look closely at the progeny of old mares – particularly for select session. 2. Comp AFI = relates to opportunity; i.e. measures the achievements of offspring of the same mares by other stallions. New stallions, without runners (or with very limited representation) are assessed on pedigree and performance. New stallions start with a minimum score of 2.5.
International Gr 1 winners are entitled to a bonus point (3.5). An extra half point can also be added for exceptional pedigrees. In order to select the most saleable yearlings, one most assess the methods employed by buyers i.e. Attempt to predict what the demand will be. Clearly good-looking, well-grown yearlings sell well. (Often even when not presenting the best limb conformation). Light, backward types never sell, even if “perfectly conformed”. The market is also undoubtedly SIRE & CONFORMATION driven. 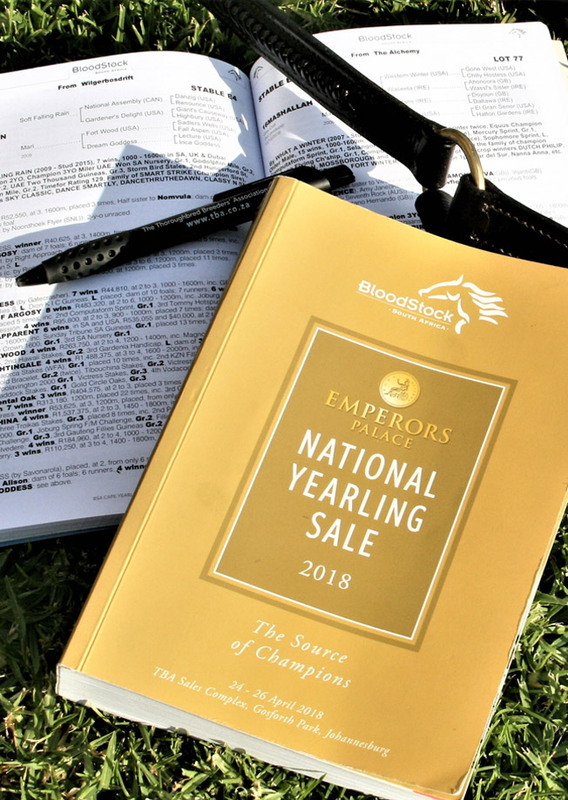 Every year, the top prices and “Sales Topper” are good lookers by the best sires, and not necessarily out of the best mares. Dam was a 3 time winner whose previous 3 foals where only minor winners. It is our firm belief (backed up by facts) that a good-looker by the top sire will sell for money regardless of the mare. Conversely, a yearling by a poor sire will not sell for big money, even if it is out of a top mare. Because of this, it is prudent not to have a host of mares scoring 4, 4.5 and 5, thus deliberately ensuring a stallion and conformation “bias” in the selection process. Remembering, at all times, that proven producing mares and top race fillies DO still attain these scores.